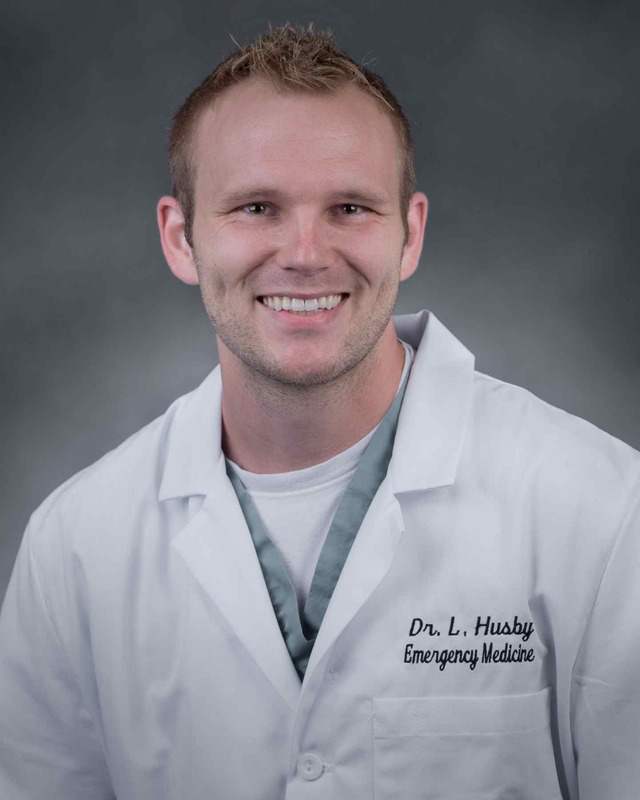 Michael Kanwisher, MD and Luke Husby, DO are members of the Palmetto Health EM class of 2016. 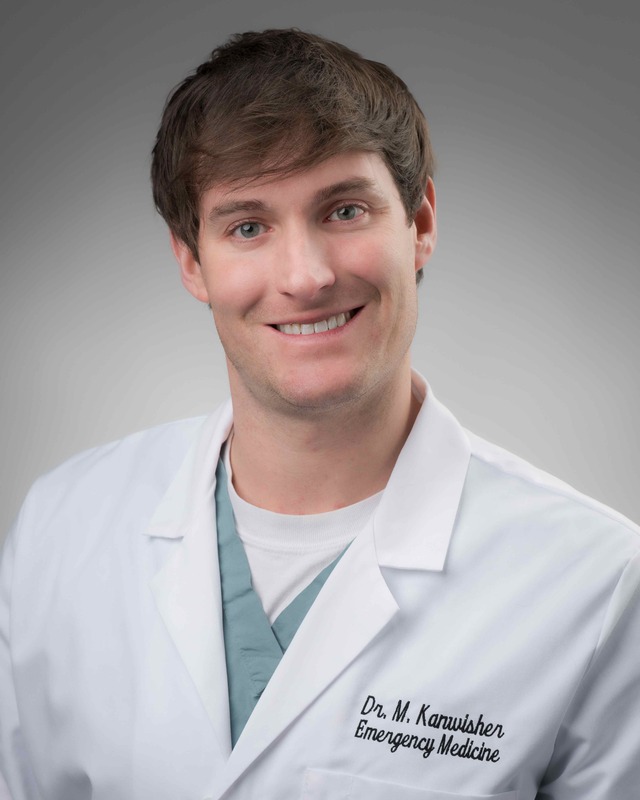 Dr. Kanwisher is a graduate of the Medical College of Georgia School of Medicine and Dr. Husby is a graduate of North Texas State Medical School. After 23 hours in the air and a two day trip we finally landed in Auckland, New Zealand and had a chance to explore for a few days on an extended layover. Thank you to the Tongan airport for not allowing any of their employees to work on Sundays! With the extra time we made the most of Auckland. 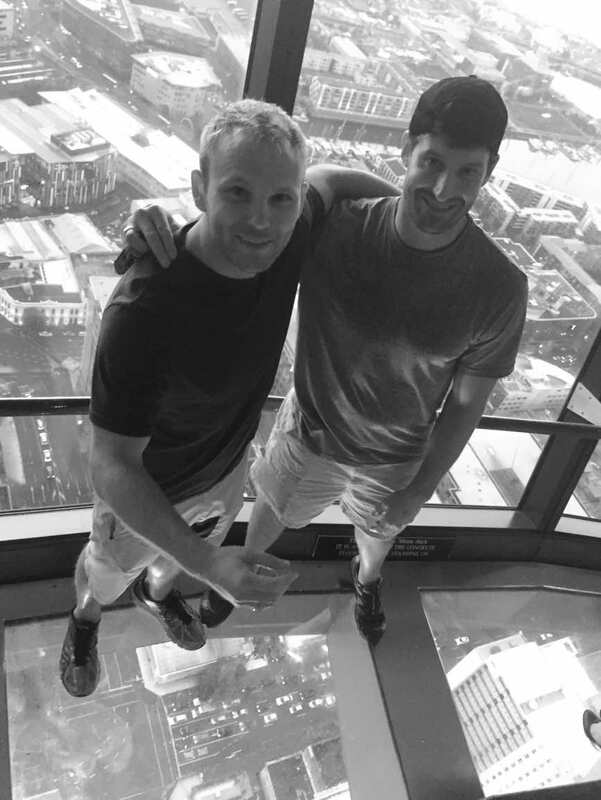 We were able to visit the Sky Tower and take in the amazing view as the sunset over the harbor and hopped off the bridge, bungee jumping for a quick dip. Afterwards, we took the ferry to Waiheke Island where we visited a winery and competed in an archery competition after a wine tasting. Once our time in Auckland was up we took a 3 hour flight to Tongatapu where we stayed briefly and enjoyed a tour of the island given by one of the cab drivers. He showed us some of the highlights including fishing pigs, some beautiful cliff overhangs, and what the Tongans claim is the only 3 headed coconut tree (although the Samoans dispute this with one of their own). Due to the 2009 tsunami, occasional debris still wash up on shore more than a quarter mile inland. From there we were off to meet up with the rest of our 8 man crew in Va'vau. Once in Va'vau we met with the local physicians and advanced practitioners of the local hospital on the main island to arrange our schedule for the next 2 weeks. Our schedule consisted primarily of day trips with a couple overnight trips planned to several of the 168 islands of Tonga. We then hopped aboard our vessel and settled into the harbor we called home for the next two weeks. Occasionally, we did have to stay adjacent to other islands, but for the most part, the harbor served as our home base before we would travel to an outer island to set up daily clinics where access was extremely limited. 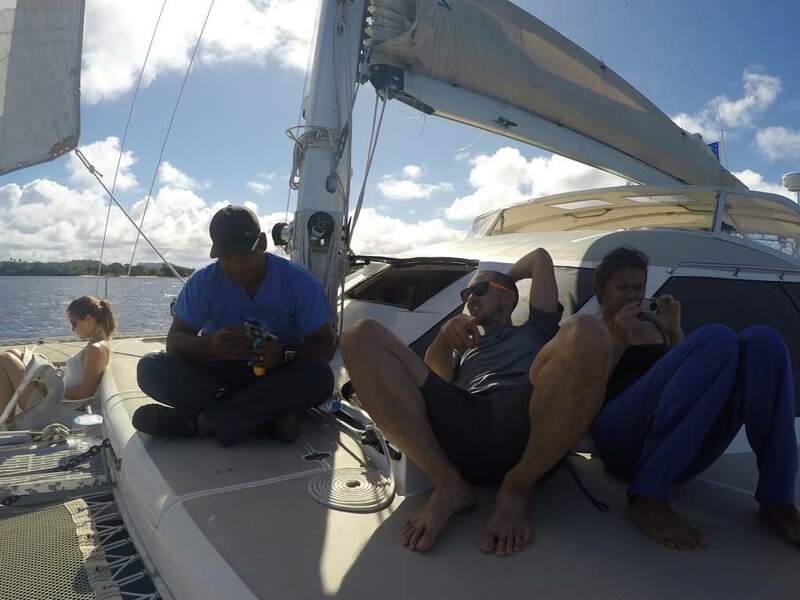 On our trips out, it was not uncommon to motor a couple hours out on the sailboat to the island clinic site. A great deal of patience and reading material were required for our travel time each day, but it provided some much needed "island time" relaxation. Occasionally we would catch lunch along the way (usually tuna of course) served with lime and eaten raw. One of our Tongan nurses turned out to be quite the fisherman! 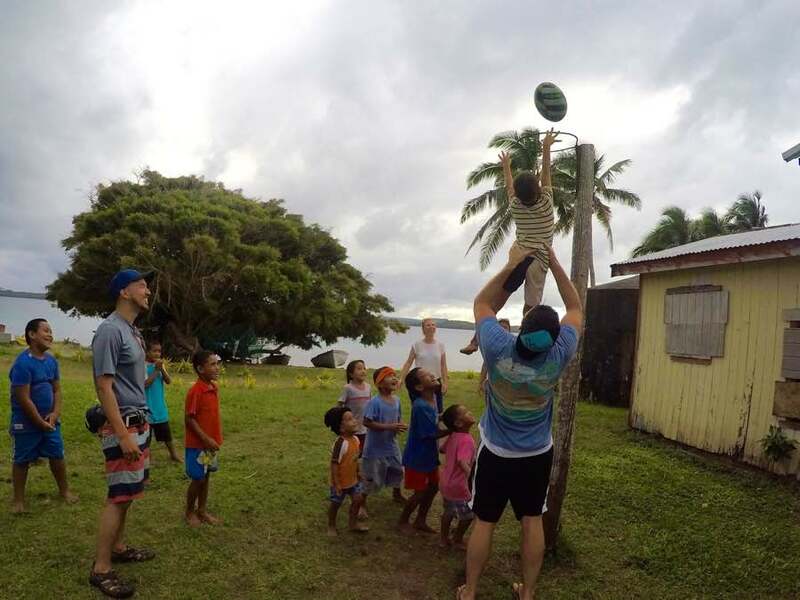 Once we arrived on a new island the crew set out with 3 U.S. emergency physicians along with a paramedic and 2 U.K. medical students who were wrapping up their schooling. Each day we would set up a new clinic on our own. These were often in churches or schools or both. We brought our own supplies and the records were kept with the local Tongan practitioners for reference at the main hospital. The practitioners often pulled double duty as a translator and provider. One of the local nurses that assisted us as a guide was also a prince of his island. His Tongan superpower, as many Tongan children were given, the gift of climbing coconut trees. One day we stayed on the main island where a brick and mortar clinic remained. 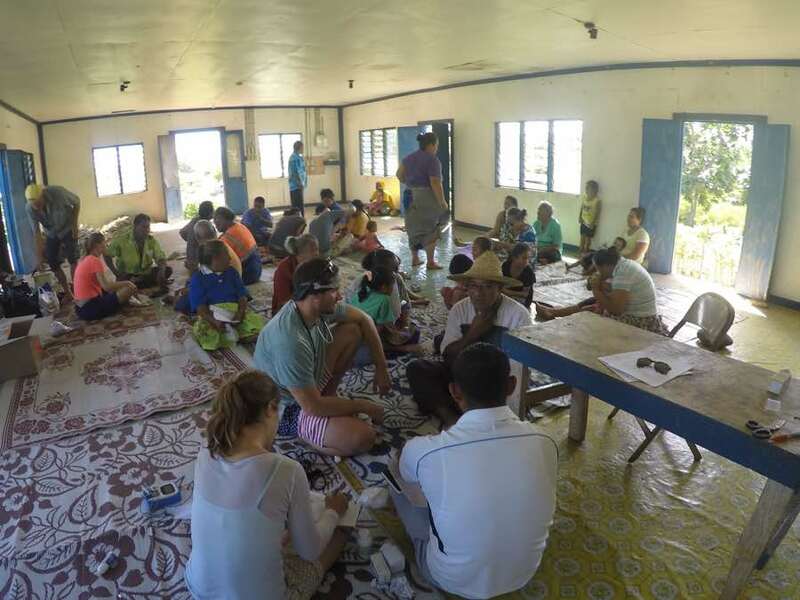 We saw the most patients that day along with a couple Tongan resident physicians. Frequently our time was spent playing with the children after their check-ups. Not a bad way to end clinic most days. We visited a few islands where the inhabitants numbered in the single digit range. They were all very thankful for the assistance, and pleasant to interact with. The Tongan people are some of the uniformly kindest people I've ever encountered. If the islands had a slightly larger population and were able they would entertain their foreign guests (us) with a song and dance at the local school. A Canadian film crew came along and documented such an occurence as they were making a documentary about Sea Mercy, including our vessel and crew of the Sea Angel. Durng one of the last days of our trip, two of our team members got engaged! During our trip we had several adventures including visiting beautiful islands, kayaking with dolphins, swimming in underwater caves, and we even chartered a fishing boat. Mike caught a dogtooth tuna, but the nearby shark wanted her share. Occasionally, we were able to snorkel and spearfish for dinner. In the evenings it would get hot so there was usually someone sleeping out on the trampoline under some unparalleled stars. After 2 weeks of adventures, we were ready for a long trip home, but the people of Tonga and the crew of the Sea Angel were amazing making healthcare a touch more accessible. Introducing them to the local hospital system and delivering hundreds of vaccinations made it worth while. It was a paradise I hope I get to visit again soon.